IB ACIO online registration has begun. Candidates can apply at mha.nic.in. 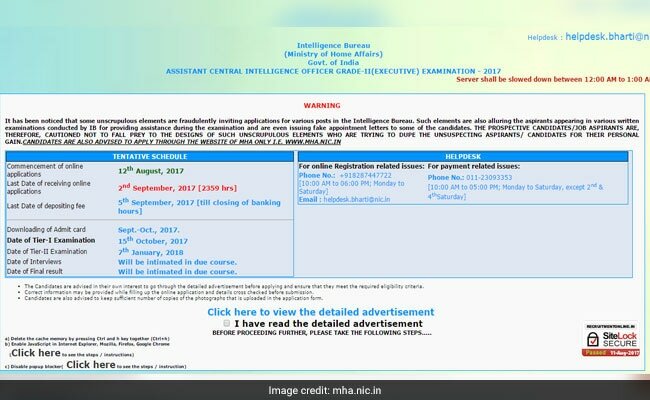 New Delhi: Intelligence Bureau (IB), Ministry of Home Affairs, Government of India has released job notification for direct recruitment to 1430 Assistant Central Intelligence Officer (ACIO) Grade II/ Executive. In order to be eligible for the recruitment, candidates must have completed graduation and must be in the age group of 18-27 years. Candidates should also have knowledge of computers. Online application submission for the IB recruitment will begin on 12 August 2017. Interested and eligible candidates can submit their applications on or before 2 September 2017 (11.00 pm). Online applications can be submitted at mha.nic.in. Details in this regard can be found online at the official website mha.nic.in and also in Employment News (date 12 August 2017- 18 August 2017). 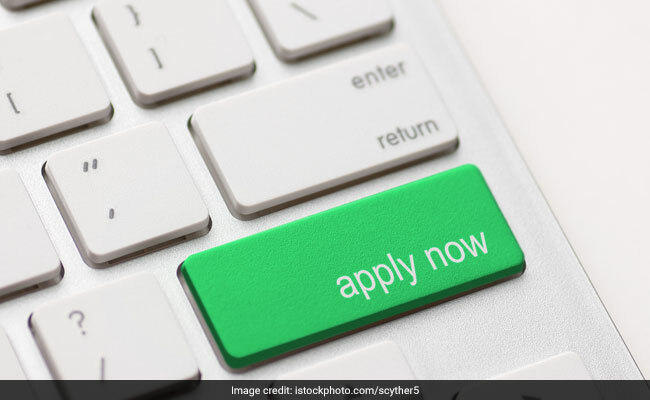 Due to the popularity of the job, there are chances of coming across fake notifications, look-alike application submission portals and other alluring designs, sometimes, laid down by fraud elements. Candidates are therefore urged to follow the official notification released on Employment News and on the official website only. As a part of the selection process for IB ACIO recruitment, written exam (Tier 1 and Tier 2) will be held followed by interview (200 marks). The tier 1 exam will be held at 33 exam centres across the country.